'Thou Shalt Not Covet Thy Neighbor's Spiritual Walk.' After all, it's his, not yours. Better to discover the path God designed you to take--a path marked by growth and fulfillment, based on your unique temperament. 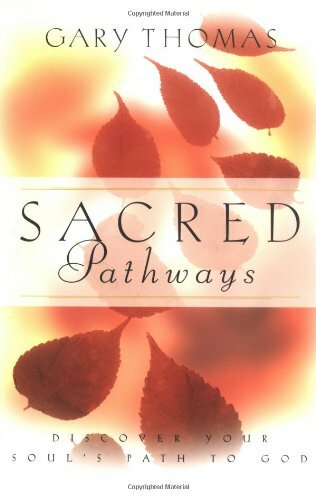 In Sacred Pathways, Gary Thomas strips away the frustration of a one-size-fits-all spirituality and guides you toward a path of worship that frees you to be you. If your devotional times have hit a snag, perhaps it is because you're trying to follow someone else's path. This book unfolds nine distinct spiritual temperaments--their traits, strengths, and pitfalls. In one or more, you will see yourself and the ways you most naturally express your relationship with Jesus Christ. Whatever temperament or blend of temperaments best describes you, rest assured it's not by accident. It's by the design of a Creator who knew what he was doing when he made you according to his own unique specifications. Sacred Pathways will show you the route you were made to travel, marked by growth and filled with the riches of a close walk with God. Gary Thomas is a writer in residence at Second Baptist Church in Houston, Texas, and an adjunct faculty member teaching on spiritual formation at Western Seminary in Portland, Oregon. He is the author of several books, including Sacred Marriage, Sacred Pathways, Pure Pleasure, Sacred Parenting, and the Gold Medallion Award-winning Authentic Faith. SPANISH BIO: Gary Thomas es escritor residente en la iglesia Second Baptist de Houston y Profesor asociado en el Seminario Western en Portland, Oregon. Es autor de mas de una docena de libros, incluyendo Matrimonio sagrado, Placer puro y el ganador del Golden Medallion, Fe Autentica.